Paris Bordone (1500-1571) was an Italian Renaissance painter who worked in Venice. He was born in Treviso and moved to Venice when he was very young. He apparently had a brief and unhappy apprenticeship with Titian, who was the leader of the Venetian style. Most of his works cover the traditional subject matter of the time, Classical antiquity and religion. Bordone does so with a great deal of complexity and sensitivity. His works feature intricate compositions and great emotional depth. Bordone manages to communicate extreme nuance and subtlety in the faces of his subjects, giving the viewer a lot to consider when viewing his paintings. He also painted a number of portraits and contemporary scenes, such as Venetian Lovers. I came across this painting on the cover to an edition of John Ford's seventeenth century tragedy 'Tis a Pity She's a Whore and was immediately struck by the piece. The painting features a lot more chiaroscuro than most of Bordone's work, which gives a sense of unease and high drama. This is enhanced by the presence of the third figure, lurking in the shadows of the chiaroscuro. This figure may be a procurer, but it has also been suggested that it is a self-portrait due to the artist's cap. The couple themselves are quite fascinating. With one hand he offers her a gift (or payment) of jewelry while the other is around her shoulder, moving toward her neck. Of course if we follow his line of sight, we see he is gazing at her cleavage. The woman's face is a bit harder to read. She looks off to the side, appearing skeptical of disinterested, or perhaps merely bored of the function of her job. This is one of Bordone's most celebrated paintings and it's easy to see why. 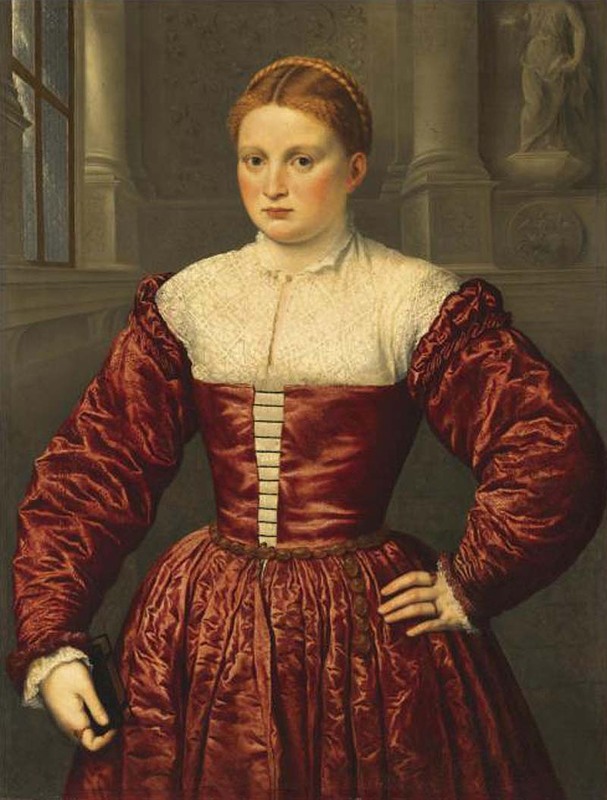 Bordone demonstrates his skill with textures in the woman's dress, while her hair appears soft and natural. Their skin is smooth and realistic, while their faces are beautifully rendered with expressions complex and engaging. The use of light is also quite masterful. This is a beautiful painting with great depth and a fascinating pair of lovers. She was wearing the necklace before he removed it. Now they can get down to business, and pleasure!